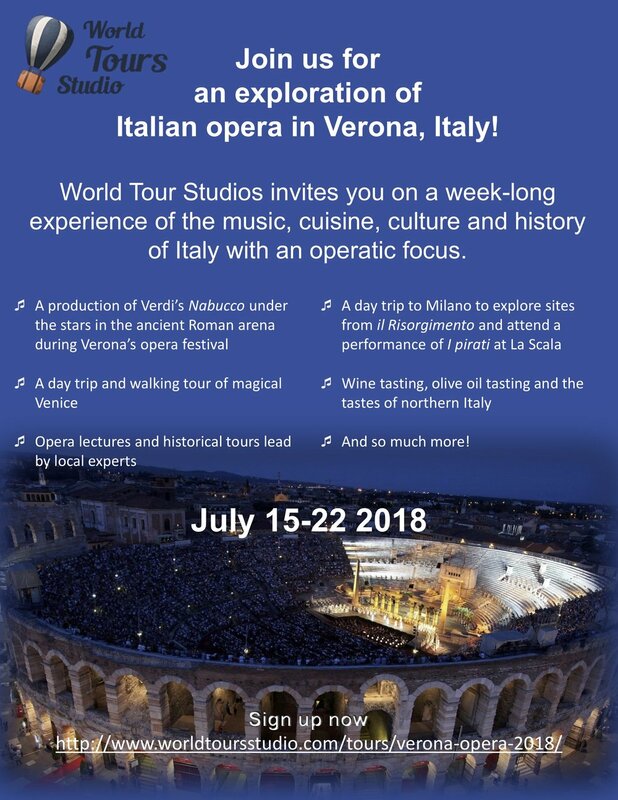 Newest travel adventure: come explore Italian opera in Verona, Italy! In addition to art, one of my greatest joys is travel. I am partnered with World Tours Studio, to create travel adventures focused on cultural experiences.